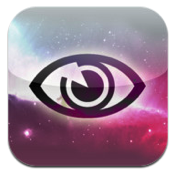 Dream Control Pro, developed byHypnovisualization, is a pre-bedtime iPhone app that can help you fall asleep, record your dreams, share them, and (in some cases) even control what you dream about. Developed by Dr. Norman Miller, the Hypnovisualization technique was designed to help control their dreams, as well as to visualize successes that they want in life during their sleeping hours in the hopes that dreaming can act as a kind of dress rehearsal for the changes you’re trying to enact in your own life. 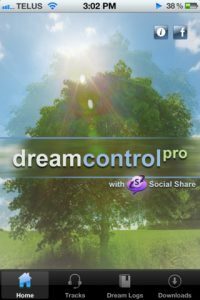 The aspect of Dream Control Pro that will appeal to most people are the two included audio tracks, designed to help you drift off into restful sleep and introduce you to the concept of dream control. 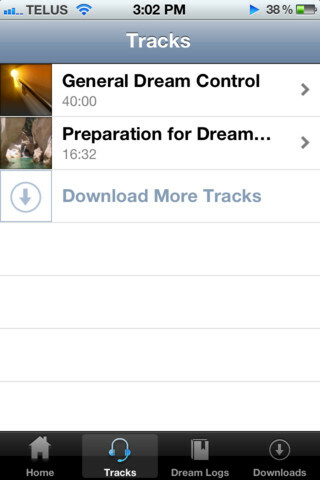 And even if you don’t buy into the whole “dream control” thing, you’ll still enjoy falling asleep to the restful tracks. The music tracks contain subliminal alpha sounds that are similar to the brain activity of someone who is completely relaxed. 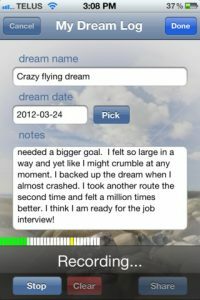 Dream Control Pro also includes a social element, allowing you to record your dreams in a log, and then share them on Facebook. 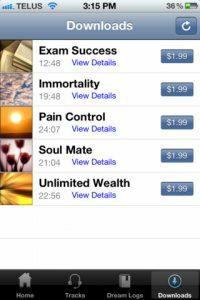 And don’t worry: you can record the dreams in audio format, meaning you don’t half to hunt and peck while you’re still half asleep. The RECORD button is nice and big, making it easy to find no matter how bleary-eyed you are before your morning cup of coffee. If you like the first few tracks, you’ll have to pay to experience the rest. 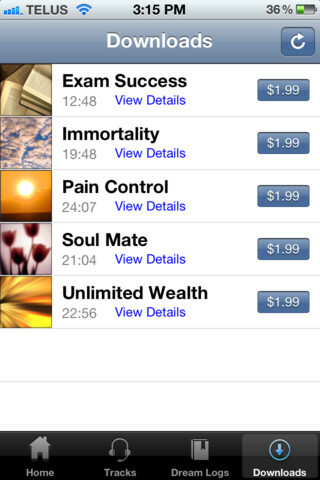 Each runs about $1.99, and includes tracks designed to foster love, wealth, success, and even test prep. So, does it work? I’ve listened to the tracks for a few nights, and while nothing “dream control”-like has happened yet, I did enjoy keeping track of my dreams and am getting very restful sleep at night. 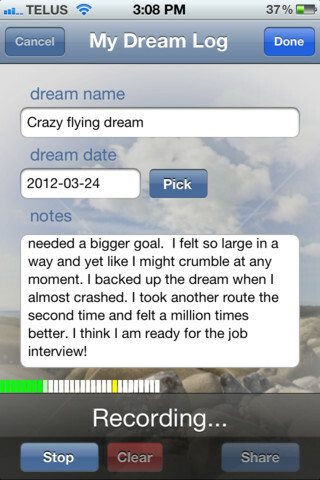 If you want better sleep (or a better life), this iPhone app might be worth checking out. Dream Control Prois compatible with iPhone 3GS, iPhone 4, iPhone 4S, iPod touch (3rd generation), iPod touch (4th generation) and iPad. Requires iOS 5.1 or later.